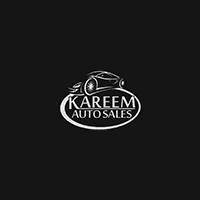 By submitting this form you agree to be contacted by a Kareem Auto Sales Inc staff member. *Low Miles(54k)* *Convertible* *Power Soft-Top* *Cruise Control* *Power Windows* *Power Seat* *Kenwood Premium Sound System* *CD/MP3/USB* *Alloy Wheels*Free 30 Days /3,000 Limited Warranty !, Sebring Touring, 2.7L V6 MPI DOHC 24V, 4-Speed Automatic, Graphite Clearcoat Metallic. Clean CARFAX. Touring FWD21/28 City/Highway MPGThanks for looking , If you need more information such as additional Photo's or a copy of your Free Car Fax History Report we are here to help . You can email us www.Kareemautosales.com or come visit us at our easy to get to location in Sacramento CA.-We offer great extended warranty on our vehicles-Free CarFax Report History-Check us out on Yelp! 4.5 Stars-275+ Vehicles to choose from-Financing for all types of credit-CUDL (Credit Union Direct Lending)-Great 1st time buyer program-We offer great extended warranty on our vehicles-Free CarFax Report History-Check us out on Yelp! 4.5 Stars-275+ Vehicles to choose from-Financing for all types of credit-CUDL (Credit Union Direct Lending)-Great 1st time buyer program-All vehicles pass Smog & Safety Inspection and receive a fresh oil change-Our buyers have over 10+ years of buying experience-Business HoursMonday - Saturday: 10:00am 7:00pmSunday: 10:00am - 5:00pm-And As Always Promised... BEST DEALS IN TOWN! Free 30 Days /3,000 Limited Warranty !, Crown Victoria LX, 4D Sedan, 4.6L 8-Cylinder SFI SOHC, 4-Speed Automatic with Overdrive, RWD, Vibrant White Clearcoat, Dark Charcoal Leather. Clean CARFAX. LX RWD 4-Speed Automatic with Overdrive 4.6L 8-Cylinder SFI SOHCThanks for looking , If you need more information such as additional Photo's or a copy of your Free Car Fax History Report we are here to help . You can email us www.Kareemautosales.com or come visit us at our easy to get to location in Sacramento CA. *Low Miles(79k)* *Leather* *Cruise Control* *Power Windows* *Dual Power Seats* *Alloy Wheels*-All Vehicles come with FREE warranty (call dealer for details)-We offer great extended warranty on our vehicles-Free CarFax Report History-Check us out on Yelp! 4.5 Stars-275+ Vehicles to choose from-Financing for all types of credit-CUDL (Credit Union Direct Lending)-Great 1st time buyer program-All vehicles pass Smog & Safety Inspection and receive a fresh oil change-Our buyers have over 10+ years of buying experience-Business HoursMonday - Saturday: 10:00am 7:00pmSunday: 10:00am - 5:00pm-And As Always Promised... BEST DEALS IN TOWN! Free 30 Days /3,000 Limited Warranty !, Insight LX, 4D Hatchback, 1.3L I4 SOHC i-VTEC, CVT, FWD, Polished Metal Metallic, Gray Cloth. LX FWD CVT 1.3L I4 SOHC i-VTEC40/43 City/Highway MPGAwards:* 2010 KBB.com Top 10 Green CarsFor more information, visit www.kbb.com. Kelley Blue Book is a registered trademark of Kelley Blue Book Co., Inc.Thanks for looking , If you need more information such as additional Photo's or a copy of your Free Car Fax History Report we are here to help . You can email us www.Kareemautosales.com or come visit us at our easy to get to location in Sacramento CA. *Hybrid* *Over 40 MPG* *Cruise Control* *Power Windows* *Multi-Disc/MP3* *Anti-Theft System*-All Vehicles come with FREE warranty (call dealer for details)-We offer great extended warranty on our vehicles-Free CarFax Report History-Check us out on Yelp! 4.5 Stars-275+ Vehicles to choose from-Financing for all types of credit-CUDL (Credit Union Direct Lending)-Great 1st time buyer program-All vehicles pass Smog & Safety Inspection and receive a fresh oil change-Our buyers have over 10+ years of buying experience-Business HoursMonday - Saturday: 10:00am 7:00pmSunday: 10:00am - 5:00pm-And As Always Promised... BEST DEALS IN TOWN! Free 30 Days /3,000 Limited Warranty !, New Timing Belt, Accent GS, 2D Hatchback, 1.6L I4 MPI DOHC CVVT 16V, 4-Speed Automatic with Overdrive, FWD, Charcoal Gray, black Cloth. Clean CARFAX. GS FWD 4-Speed Automatic with Overdrive 1.6L I4 MPI DOHC CVVT 16V27/36 City/Highway MPGThanks for looking , If you need more information such as additional Photo's or a copy of your Free Car Fax History Report we are here to help . You can email us www.Kareemautosales.com or come visit us at our easy to get to location in Sacramento CA. *Timing Belt replaced @ 40k Miles* *Low Miles(54k)* *JVC System w/ CD/MP3 & HD Radio Satellite* *Gas Saver*-All Vehicles come with FREE warranty (call dealer for details)-We offer great extended warranty on our vehicles-Free CarFax Report History-Check us out on Yelp! 4.5 Stars-275+ Vehicles to choose from-Financing for all types of credit-CUDL (Credit Union Direct Lending)-Great 1st time buyer program-All vehicles pass Smog & Safety Inspection and receive a fresh oil change-Our buyers have over 10+ years of buying experience-Business HoursMonday - Saturday: 10:00am 7:00pmSunday: 10:00am - 5:00pm-And As Always Promised... BEST DEALS IN TOWN! *Low Miles(60k)* *Cruise Control* *Power Windows* *CD/MP3* *Alloy Wheels* *Fog Lights*-We offer great extended warranty on our vehicles-Free CarFax Report History-Check us out on Yelp! 4.5 Stars-275+ Vehicles to choose from-Financing for all types of credit-CUDL (Credit Union Direct Lending)-Great 1st time buyer program-We offer great extended warranty on our vehicles-Free CarFax Report History-Check us out on Yelp! 4.5 Stars-275+ Vehicles to choose from-Financing for all types of credit-CUDL (Credit Union Direct Lending)-Great 1st time buyer program-All vehicles pass Smog & Safety Inspection and receive a fresh oil change-Our buyers have over 10+ years of buying experience-Business HoursMonday - Saturday: 10:00am 7:00pmSunday: 10:00am - 5:00pm-And As Always Promised... BEST DEALS IN TOWN! Free 30 Days /3,000 Limited Warranty !, 4D Sedan, 3.5L V6 DOHC 24V, 5-Speed Automatic with Overdrive, RWD, Black Obsidian, Graphite Leather. Clean CARFAX. RWD 5-Speed Automatic with Overdrive 3.5L V6 DOHC 24VOdometer is 20072 miles below market average!Thanks for looking , If you need more information such as additional Photo's or a copy of your Free Car Fax History Report we are here to help . You can email us www.Kareemautosales.com or come visit us at our easy to get to location in Sacramento CA. *Low Miles* *Moon Roof* *Bose* *Bluetooth Wireless* *Heated-Leather* *18 Alloy Wheels* *Dual Power Seats* *CD/MP3*-All Vehicles come with FREE warranty (call dealer for details)-We offer great extended warranty on our vehicles-Free CarFax Report History-Check us out on Yelp! 4.5 Stars-275+ Vehicles to choose from-Financing for all types of credit-CUDL (Credit Union Direct Lending)-Great 1st time buyer program-All vehicles pass Smog & Safety Inspection and receive a fresh oil change-Our buyers have over 10+ years of buying experience-Business HoursMonday - Saturday: 10:00am 7:00pmSunday: 10:00am - 5:00pm-And As Always Promised... BEST DEALS IN TOWN! *1 Owner* *Bluetooth Wireless* *Power Windows* *Cruise Control* *CD/MP3* *Gas Saver*Free 30 Days /3,000 Limited Warranty !, 6-Speed Automatic 1.6L I4 DGI Gamma25/30 City/Highway MPGAwards:* 2013 IIHS Top Safety Pick * 2013 KBB.com 10 Coolest New Cars Under $18,000Thanks for looking , If you need more information such as additional Photo's or a copy of your Free Car Fax History Report we are here to help . You can email us www.Kareemautosales.com or come visit us at our easy to get to location in Sacramento CA.-All Vehicles come with FREE warranty (call dealer for details)-We offer great extended warranty on our vehicles-Free CarFax Report History-Check us out on Yelp! 4.5 Stars-275+ Vehicles to choose from-Financing for all types of credit-CUDL (Credit Union Direct Lending)-Great 1st time buyer program-All vehicles pass Smog & Safety Inspection and receive a fresh oil change-Our buyers have over 10+ years of buying experience-Business HoursMonday - Saturday: 10:00am 7:00pmSunday: 10:00am - 5:00pm-And As Always Promised... BEST DEALS IN TOWN! Free 30 Days /3,000 Limited Warranty !, One Owner Carfax, 4D Sedan, 2.4L I4 DOHC i-VTEC 16V, 5-Speed Automatic with Sequential SportShift, Glacier Blue Metallic, Quartz Leather. Clean CARFAX. FWD 5-Speed Automatic with Sequential SportShift 2.4L I4 DOHC i-VTEC 16V20/28 City/Highway MPGThanks for looking , If you need more information such as additional Photo's or a copy of your Free Car Fax History Report we are here to help . You can email us www.Kareemautosales.com or come visit us at our easy to get to location in Sacramento CA. *18 Service History Records* *1 Owner* *Moon Roof* *Cruise Control* *Bluetooth Wireless* *Heated-Leather* *Dual Power Seats* *Power Seats* *XM Satellite* *6-Disc/MP3* *Alloy Wheels* *Anti-Theft System*-All Vehicles come with FREE warranty (call dealer for details)-We offer great extended warranty on our vehicles-Free CarFax Report History-Check us out on Yelp! 4.5 Stars-275+ Vehicles to choose from-Financing for all types of credit-CUDL (Credit Union Direct Lending)-Great 1st time buyer program-All vehicles pass Smog & Safety Inspection and receive a fresh oil change-Our buyers have over 10+ years of buying experience-Business HoursMonday - Saturday: 10:00am 7:00pmSunday: 10:00am - 5:00pm-And As Always Promised... BEST DEALS IN TOWN! *Low Miles(96k)* *Navigation* *Moon Roof* *Back-up Camera* *Alloy Wheels* *Cruise Control* *Fog Lights* *Rear Spoiler*-All Vehicles come with FREE warranty (call dealer for details)-We offer great extended warranty on our vehicles-Free CarFax Report History-Check us out on Yelp! 4.5 Stars-275+ Vehicles to choose from-Financing for all types of credit-CUDL (Credit Union Direct Lending)-Great 1st time buyer program-All vehicles pass Smog & Safety Inspection and receive a fresh oil change-Our buyers have over 10+ years of buying experience-Business HoursMonday - Saturday: 10:00am 7:00pmSunday: 10:00am - 5:00pm-And As Always Promised... BEST DEALS IN TOWN! ree 30 Days /3,000 Limited Warranty !, New Tires, Camry LE, 4D Sedan, 2.5L I4 SMPI DOHC, 6-Speed Automatic Electronic with Overdrive, FWD, Classic Silver Metallic, Ash Cloth. LE FWD 6-Speed Automatic Electronic with Overdrive 2.5L I4 SMPI DOHCAwards:* JD Power Dependability Study * 2011 KBB.com 10 Best Used Family Cars Under $15,000 * 2011 KBB.com Brand Image AwardsThanks for looking , If you need more information such as additional Photo's or a copy of your Free Car Fax History Report we are here to help . You can email us www.Kareemautosales.com or come visit us at our easy to get to location in Sacramento CA. *4 New Tires* *Cruise Control* *Fog Lights* *Power Windows* *CD/MP3* *Power Seat* *Gas Saver*-All Vehicles come with FREE warranty (call dealer for details)-We offer great extended warranty on our vehicles-Free CarFax Report History-Check us out on Yelp! 4.5 Stars-275+ Vehicles to choose from-Financing for all types of credit-CUDL (Credit Union Direct Lending)-Great 1st time buyer program-All vehicles pass Smog & Safety Inspection and receive a fresh oil change-Our buyers have over 10+ years of buying experience-Business HoursMonday - Saturday: 10:00am 7:00pmSunday: 10:00am - 5:00pm-And As Always Promised... BEST DEALS IN TOWN! Free 30 Days /3,000 Limited Warranty !, Detailed Service Records On Carfax, 4D Sedan, 3.5L V6 DOHC 24V, 5-Speed Automatic with Overdrive, RWD, Champagne, Graphite Leather. Clean CARFAX. RWD 5-Speed Automatic with Overdrive 3.5L V6 DOHC 24VThanks for looking , If you need more information such as additional Photo's or a copy of your Free Car Fax History Report we are here to help . You can email us www.Kareemautosales.com or come visit us at our easy to get to location in Sacramento CA. *Moon Roof* *Push-Button Start* *Bluetooth Wireless* *Illuminated Entry* *Bluetooth Wireless* *18 Alloy Wheels* *Multi-Disc/MP3* *Telescopic Wheel* *Power Windows* *Key-less Entry*-All Vehicles come with FREE warranty (call dealer for details)-We offer great extended warranty on our vehicles-Free CarFax Report History-Check us out on Yelp! 4.5 Stars-275+ Vehicles to choose from-Financing for all types of credit-CUDL (Credit Union Direct Lending)-Great 1st time buyer program-All vehicles pass Smog & Safety Inspection and receive a fresh oil change-Our buyers have over 10+ years of buying experience-Business HoursMonday - Saturday: 10:00am 7:00pmSunday: 10:00am - 5:00pm-And As Always Promised... BEST DEALS IN TOWN! Free 30 Days /3,000 Limited Warranty !, Detailed Service Records On Carfax, **NAVIGATION / GPS **, Heated Leather Seat, C-Max Hybrid SEL, 2.0L I4 Atkinson-Cycle Hybrid, CVT, White Platinum Clearcoat Metallic. Clean CARFAX. SEL FWD CVT 2.0L I4 Atkinson-Cycle Hybrid42/37 City/Highway MPGAwards:* 2013 KBB.com Brand Image AwardsThanks for looking , If you need more information such as additional Photo's or a copy of your Free Car Fax History Report we are here to help . You can email us www.Kareemautosales.com or come visit us at our easy to get to location in Sacramento CA.? OPEN SEARCH RESULT PREVIEW ?-All Vehicles come with FREE warranty (call dealer for details)-We offer great extended warranty on our vehicles-Free CarFax Report History-Check us out on Yelp! 4.5 Stars-275+ Vehicles to choose from-Financing for all types of credit-CUDL (Credit Union Direct Lending)-Great 1st time buyer program-All vehicles pass Smog & Safety Inspection and receive a fresh oil change-Our buyers have over 10+ years of buying experience-Business HoursMonday - Saturday: 10:00am 7:00pmSunday: 10:00am - 5:00pm-And As Always Promised... BEST DEALS IN TOWN! Free 30 Days /3,000 Limited Warranty !, New Tires, 500 Sport, 2D Hatchback, 1.4L I4 16V MultiAir, 6-Speed Aisin F21-250 Auto, FWD, Grigio, Red Leather. Clean CARFAX. Sport FWD 6-Speed Aisin F21-250 Auto 1.4L I4 16V MultiAir27/34 City/Highway MPGAwards:* 2013 KBB.com 10 Coolest New Cars Under $18,000Thanks for looking , If you need more information such as additional Photo's or a copy of your Free Car Fax History Report we are here to help . You can email us www.Kareemautosales.com or come visit us at our easy to get to location in Sacramento CA. *Low Miles(50k)* *4 New Tires* *Moon Roof* *Beats Premium Sound* *Leather* *Sirius Satellite* *Bluetooth Wireless* *Cruise Control* *Premium Wheels*-All Vehicles come with FREE warranty (call dealer for details)-We offer great extended warranty on our vehicles-Free CarFax Report History-Check us out on Yelp! 4.5 Stars-275+ Vehicles to choose from-Financing for all types of credit-CUDL (Credit Union Direct Lending)-Great 1st time buyer program-All vehicles pass Smog & Safety Inspection and receive a fresh oil change-Our buyers have over 10+ years of buying experience-Business HoursMonday - Saturday: 10:00am 7:00pmSunday: 10:00am - 5:00pm-And As Always Promised... BEST DEALS IN TOWN! Free 30 Days /3,000 Limited Warranty !, Detailed Service Records On Carfax, Prius II, 5D Hatchback, 1.8L 4-Cylinder DOHC 16V VVT-i, CVT, FWD, Winter Gray Metallic, Misty Gray Cloth. II FWD CVT 1.8L 4-Cylinder DOHC 16V VVT-i51/48 City/Highway MPGAwards:* 2010 KBB.com Top 10 Green Cars * 2010 KBB.com Best Resale Value AwardsThanks for looking , If you need more information such as additional Photo's or a copy of your Free Car Fax History Report we are here to help . You can email us www.Kareemautosales.com or come visit us at our easy to get to location in Sacramento CA. *Hybrid* *JBL Premium Sound* *Push-Button Start* *6-Disc/MP3* *Cruise Control*-All Vehicles come with FREE warranty (call dealer for details)-We offer great extended warranty on our vehicles-Free CarFax Report History-Check us out on Yelp! 4.5 Stars-275+ Vehicles to choose from-Financing for all types of credit-CUDL (Credit Union Direct Lending)-Great 1st time buyer program-All vehicles pass Smog & Safety Inspection and receive a fresh oil change-Our buyers have over 10+ years of buying experience-Business HoursMonday - Saturday: 10:00am 7:00pmSunday: 10:00am - 5:00pm-And As Always Promised... BEST DEALS IN TOWN! Free 30 Days /3,000 Limited Warranty !, Detailed Service Records On Carfax, 4D Sedan, 2.4L I4 DOHC i-VTEC 16V, 5-Speed Automatic with Sequential SportShift, FWD, Carbon Gray Pearl, Ebony Leather. FWD 5-Speed Automatic with Sequential SportShift 2.4L I4 DOHC i-VTEC 16V20/28 City/Highway MPGThanks for looking , If you need more information such as additional Photo's or a copy of your Free Car Fax History Report we are here to help . You can email us www.Kareemautosales.com or come visit us at our easy to get to location in Sacramento CA. *Low Miles* *Moon Roof* *Cruise Control* *Premium Sound* *Bluetooth Wireless* *Heated-Leather Seats* *Dual Power Seats* *6-Disc/MP3* *Alloy Wheels*-All Vehicles come with FREE warranty (call dealer for details)-We offer great extended warranty on our vehicles-Free CarFax Report History-Check us out on Yelp! 4.5 Stars-275+ Vehicles to choose from-Financing for all types of credit-CUDL (Credit Union Direct Lending)-Great 1st time buyer program-All vehicles pass Smog & Safety Inspection and receive a fresh oil change-Our buyers have over 10+ years of buying experience-Business HoursMonday - Saturday: 10:00am 7:00pmSunday: 10:00am - 5:00pm-And As Always Promised... BEST DEALS IN TOWN! New vehicle pricing includes all offers and incentives. Tax, Title and Tags not included in vehicle prices shown and must be paid by the purchaser. While great effort is made to ensure the accuracy of the information on this site, errors do occur so please verify information with a customer service rep. This is easily done by calling us at (916) 473-1656 or by visiting us at the dealership. Kareem Auto Sales Inc	38.6079032, -121.400815.